The Amex Offers listed below just might help you save on your upcoming travel expenses. If you’re not familiar with Amex Offers, here’s a quick rundown. All American Express credit card holders have access to Amex Offers. Amex Offers provide either a monetary savings in the form of a statement credit or extra points earning when specific spending thresholds are met at the retailer with which the Amex Offer is associated. Exactly which Amex Offers are available to specific cardholders depends on a variety of factors. Some Amex Offers will be available due to the specific Amex card you hold. Other Amex Offers might be related to past credit card spend, the area in which you reside, or other demographic information American Express has gathered. So, not every Amex Offer listed below will be available to all Amex card holders. However, if an Amex Offer is of interest, it’s worth checking your currently available list of Offers (found on your account screen below the Account Activity section) to see if it’s awaiting your use. And be sure to add the Amex Offer to your card before making the purchase with that American Express card, otherwise the Offer won’t register. Now, on to the latest travel-related Amex Offers that just might save you some money on your upcoming travels. Get a one-time $60 statement credit when you use your enrolled Amex card to spend $300 or more at U.S. Kimpton Hotels from 2/1/19 – 5/1/19. Both room rate and room charges count toward the $300 required spend amount. Offer valid for stays only at Kimpton hotel locations in the US. Reservations must be made online at kimptonhotels.com, by using the mobile app or by calling 1-800-KIMPTON (546-7866). Excludes all other IHG hotel brands. Not valid for purchases at restaurants, kimptonstyle.com, or for IHG Rewards Club points purchases. Excludes international locations outside the US. Be sure to read the full Offer Terms to ensure you’re meeting all the requirements before using the Offer. Get a one-time $20 statement credit by using your enrolled Card to spend a minimum of $100+ in one or more transactions at Country Inn & Suites or Park Inn. Book at www.countryinn.com or www.parkinn.com/americas by 5/14/2019. Offer valid only at Country Inn & Suites by Radisson and Park Inn by Radisson properties in the U.S. Reservations must be made online at countryinn.com or parkinn.com/americas, by using the mobile app or by calling the hotel directly. Excludes all other Radisson Hotel Group properties. Offer only valid on room rate and room charges. This Offer excludes gift card purchases. Use your enrolled American Express card to spend $500 or more on room rate and room charges at St. Regis Hotels and Resorts now through 5/31/19 and get a one-time $100 statement credit. Offer valid only at St. Regis® locations in the U.S. and U.S. territories, Canada and Mexico. Reservations must be made online at stregis.com, by using the Marriott Mobile app, or via phone to Marriott Worldwide Reservations, 1-888-236-2427. This Offer excludes all other Marriott and SPG brands. Get a one-time $100 statement credit by using your enrolled Card to spend $500+ on room rate and room charges for your stay at Hilton properties in Mexico from 2/1/19 to 5/31/19. Offer only valid for reservations made online at hilton.com, via the Hilton Honors App or by calling 1-800-HILTONS (445-8667) for Hilton Portfolio hotels and resorts in Mexico. Get a one-time $50 statement credit by using your enrolled Card to spend $250+ on room rate and room charges, when you pay for your stay with Omni Hotels & Resorts prior to 2/28/19. Offer only valid at Omni Hotels & Resorts in the US. Reservations must be made online at omnihotels.com or by calling 1-800-843-6664. Gift cards are excluded. See Offer Terms for other restrictions. Get a one-time $60 statement credit by using your enrolled Amex card to spend a minimum of $300 on room rate and room charges, when you pay for your stay with MGM Resorts now through 4/22/19. Offer valid at Bellagio®, ARIA®, Vdara®, MGM Grand® Las Vegas, The Signature at MGM Grand®, Mandalay Bay® , Delano® Las Vegas, Park MGM®, NoMad® Las Vegas, The Mirage®, New York-New York®, Luxor®, Excalibur®, Beau Rivage®, Gold Strike®, Borgata®, MGM National Harbor® and MGM Springfield® in the US. Excludes all other MGM Resorts destinations. If you’re an M Life member, occasionally you’ll receive very low-rate MGM hotel deals – sometimes even comp rooms – that can stack with this Amex Offer, making your stay even more economical. Remember, you’ll always have to pay the $40+ per night “resort fee,” so even on a comped room, the resort fee, a few meals and drinks charged to the room, etc., could hit the $300 mark triggering the $60 statement credit. Get a one-time $15 statement credit by using your enrolled American Express card to spend a minimum of $50 in one or more transactions online at rover.com by 4/22/2019. If you’re not familiar, Rover.com is an online aggregator of individuals who perform various dog-related services. You can search by zip code/address for people who walk, board, have doggie daycares, perform drop-ins, as well as house sit for your pooch. Rover performs background checks and offers insurance on services booked on the site. If you already have a preferred sitter listed on Rover, all you have to do is book and pay via Rover.com and you’ll get the statement credit when the minimum spend is met. If you haven’t used the site before, give it, and its listed sitters, a look, you just might find someone who’ll make vacation time a fantastic experience for you and your best friend. Use your enrolled Amex card to make a single purchase of $75 or more online at pnf.com/amex by 4/9/2019 and receive a one-time $15 statement credit. Offer valid online at pnf.com/amex or via merchant mobile app. Valid only on U.S. website. Excludes all Park ‘N Fly affiliate locations. Be sure to read all the Offers Terms before booking your parking reservation. These are just a few of the Amex Offers added as of late. There are plenty of non-travel related Amex Offers that can be taken advantage of, too. Check your Amex account to see what Amex Offers are waiting for you. 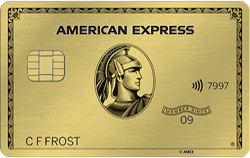 Or check out our recent review of the American Express Gold Card to see if it might be right for you. Lots of benefits and perks and Amex Offers, too!